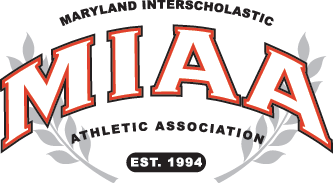 Visiting Calvert Hall broke open a scoreless tie with 5 runs in the top of the third inning, Wednesday, and the second-ranked Cardinals would go on to score nine more times to rout host Gilman, 14-3, in MIAA A Conference baseball. Nate Bosse sparked the third inning rally with a 2-run triple and Garrett Matheny added a RBI double. Matheny, the Cardinals’ catcher, would go on have 3 hits and 3 RBI in the contest, including a home run. Phil LoMedico, Jeff Jones and A.C. Chavis also had doubles for the Cardinals (4-2, 2-1), while J.P. Murphy was 2-for-3 with 3 runs scored. LoMedico and Ian Elliott each had a pair of RBI. Trevor Sprinkle made the start and earned the win, pitching 5 innings and allowing 3 runs and 5 hits, while striking out seven. Matt Hentschel pitched two scoreless innings in relief with a pair of strikeouts. Gilman (5-3, 1-1) scored all three of its runs in the bottom of the fifth as Alex Shafer drove in three with a bases-loaded double. Max Costes was the only Greyhound with two hits in the contest, while Emmanuel Engerman, Alex Slodzinski and Michael Willis all had one double for the Hounds.